Hey Loves! So sorry for being MIA, didn’t think school would take so much time from me. but hey it all works out in the end right?! I’ve got a list of upcoming posts about skin care products review, a few makeup reviews and a ton of hauls! 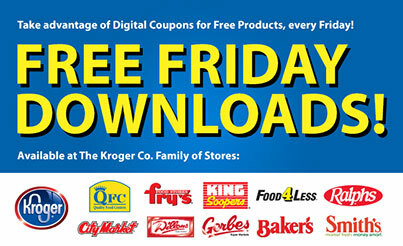 This post is about the Krogers Free Friday Downloads that happened mostly past summer. The stores that participated in this promotion included: Ralphs, Kroger, QFC, King Soopers, Food 4 Less, Baker’s, Smith, City Market, and Gorbes. The coupon is only available that day but expires another day. Every Friday, they had a coupon you could download on your loyalty cards and get a free product. August 23, 2013: One (1) 2-liter of 7UP TEN, A&W TEN, Sunkist TEN Soda, Canada Dry TEN, or Dr. Pepper TEN.